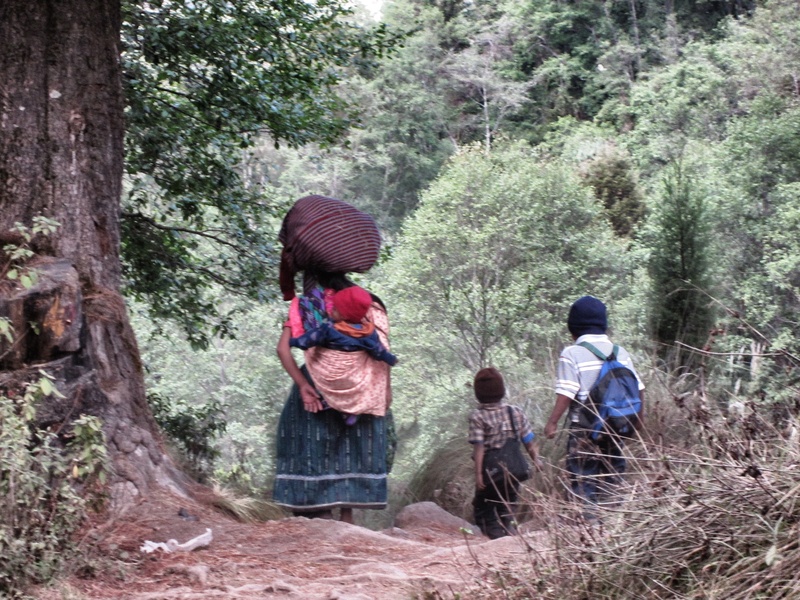 I captured this photo as I was descending the steep, slippery trail of the Santa Maria Volcano near Xela, Guatemala. I had risen at 4 am to climb this beast and was stunned to find a group of 30 or so Mayans on top of the volcano chanting and praying. What amazed me the most was the women who carried the entire load of their supplies on their heads, infants on their backs all while wearing plastic high-healed sandals. The men carried nothing and all had proper footwear. The women were resolved to lead the way and get to the bottom of the volcano with their possessions and loved ones in tow. Perhaps they are even resolved with the lot of their lives? Yet I’m not so sure given the huge turnout of Mayan women at the International Day of Women Celebration in Xela that month. This post is in response to the Weekly Photo Challenge: Resolved. To see more entries, click here. Great entry for the challenge, Nicole. Those women must be very stoical indeed.